Here in the state of Illinois, law enforcement is always on the lookout for drunk drivers. According to the Illinois Secretary of State’s Office, police made 27,046 DUI arrests in 2017 alone. According to Illinois state law, there are a number of factors that can cause a DUI to be elevated from a misdemeanor to a felony. In these cases, the DUI becomes an aggravated DUI. 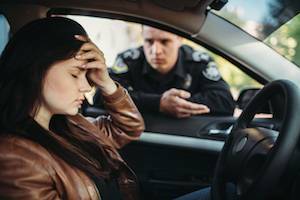 What Constitutes an Aggravated DUI? In the vast majority of cases, a DUI is charged as a misdemeanor. When aggravating factors justify the DUI to be designated as a felony, the legal ramifications can be substantial. This includes mandatory jail time to the loss of driving privileges for as long as a decade. One of the most common aggravating factors is a third DUI conviction. Here in the state of Illinois, this constitutes a Class 2 felony. If convicted, the offender could face up to seven years in prison. In the event of a third DUI, the court may decide you are no longer capable of driving with a standard driver’s license and suspend it for up to 10 years. At that point, you can obtain a Restricted Driving Permit (RDP). If you can adhere to the rules and regulations of an RDP, for five consecutive years, you may be able to apply for full license reinstatement. If you are arrested for DUI charges after a collision that caused a person to become physically disabled or disfigured, you are likely to face a Class 4 felony charge. In these instances, the judge may decide to institute prison time as punishment, which may include a minimum sentence of one year. If a person is fatally injured, you could face a Class 2 felony, with a minimum three-year sentence and subsequent two-year license revocation. These include being charged with a DUI while transporting a minor, and driving under the influence of alcohol with a revoked or suspended license. Other possible aggravating factors include driving an uninsured vehicle, driving drunk in a school zone during school hours or while driving a vehicle-for-hire. After being arrested on DUI charges, it is important to act quickly. A conviction can ultimately result in heavy fines and potential jail time. Fortunately, a qualified defense lawyer can provide a defense strategy to secure the best possible outcome for you and your family. Attorney Brian J. Mirandola will examine your case and assist you throughout the legal process. To schedule a free consultation with a knowledgeable Kane County criminal defense attorney, contact us today at 847-488-0889. 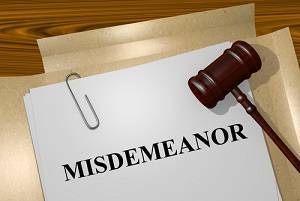 Here in the state of Illinois, misdemeanor charges can come with significant criminal punishments. While some people underestimate the potential impact of a misdemeanor when compared to a felony, the long-term ramifications of a conviction can include difficulty securing employment, housing, or loan opportunities. Legally speaking, a misdemeanor can result in jail time and significant fines. Below we will discuss what crimes could lead to a misdemeanor conviction, and what you should do if you have been charged. According to Illinois state law, there are a number of crimes that can ultimately result in a misdemeanor charge. Assault or disorderly conduct (examples of disorderly conduct include public intoxication or a violation of noise ordinances) constitute a Class C misdemeanor. This is the least severe of the three misdemeanors, but can still result in up to 30 days in jail, a two year probation period, and maximum fines of $1,500. Common examples of criminal offenses warranting a Class B misdemeanor include but are not limited to aggravated speeding (driving more than 25 miles per hour over the legal speed limit) and minor drug charges. In the event of a conviction, you could face as much as 60 days in jail. The third and most serious charge is a Class A misdemeanor. This includes DUI, burglary, and unlawful possession of a weapon. If you are convicted of a Class A misdemeanor, possible punishments include up to one year of incarceration and fines as high as $2,500. After being charged with a misdemeanor, it is important to act quickly. A skilled criminal defense attorney may be able to have the case thrown out due to improper execution of arrest procedures. In the event of a conviction, you still have a number of options. According to Illinois state law, a large number of misdemeanor crimes are eligible for expungement or criminal sealing. It should be noted that in the event of a record seal, the misdemeanor can still be viewed on your criminal record by law enforcement, but it will make the criminal record inaccessible via background check or public record. With well over a decade of experience in the state of Illinois, including as an assistant state’s attorney of the Kane County, Attorney Brian J. Mirandola is uniquely prepared to help you fight against a misdemeanor charge. Through careful examination of your case, he will develop a strategy to pursue dropped or reduced charges. To schedule a free consultation with an experienced Kane County criminal defense attorney, call us today at 847-488-0889. After being charged with a crime, it is important to understand the potential long-term ramifications. Outside of possible jail time, significant fines or loss of driving privileges, a misdemeanor or felony conviction can impact many aspects of your life. Many individuals with a criminal charge on their record face difficulty finding employment, securing housing, and receiving financial loans. Some criminal charges are eligible for expungement or a record seal, which remedy many potential complications in life. The expungement process can be complex and difficult, however, and requires the guidance of a skilled criminal defense lawyer. 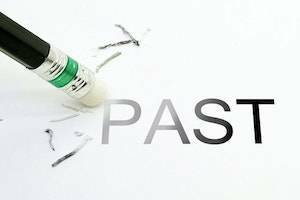 An expungement is a court-ordered process that allows the legal record of an arrest to be erased from a person’s criminal record. Eligibility for expungement depends on the type and severity of the crime. Here in Illinois, expungement is possible in a large number of cases. If you were arrested for a misdemeanor or felony, but never convicted, you will likely be able to have the charges expunged. In other cases, you can file for expungement after completing a mandated suspension, or in the instance of a conviction reversal or dropped charges. If expungement is not possible, you may be able to pursue a criminal record seal. While this will not result in a complete erasure of the offense, it will ensure your record can only be viewed by law enforcement or through the court. A record seal ensures any potential employers or property managers will be unable to access the record. A criminal record seal is possible with most minor traffic offenses and felony traffic offenses that are reduced to misdemeanors. In the vast majority of cases, a felony or misdemeanor conviction can be sealed three years after completion of the sentence. If want to protect your future through expungement, the first step is to hire an adept attorney. With years of experience within the state of Illinois, Attorney Brian J. Mirandola will fight to secure your expungement eligibility. His diligent care and aggressive representation can make the difference in attaining full expungement or a criminal record seal. To schedule a free consultation with a Kane County criminal defense lawyer, contact us today at 847-488-0889. Facing felony charges comes with significant stress and uncertainty. In all reality, it is important to act quickly after the initial arrest. With an aggressive and comprehensive legal strategy, it is possible you could secure a lesser charge, or avoid a conviction altogether. In Illinois, a felony charge can carry substantial jail time and devastating fines. Immediately after your arrest, it is critical to seek the guidance of an experienced criminal defense attorney who you can believe in. Aggravated DUI: According to Illinois state law, a drinking and driving arrest can be elevated to an aggravated DUI in a number of situations. If a person is convicted of a third or any subsequent DUIs, they will likely face Class 2 felony charges. Other aggravating factors include driving under the influence without a valid driver’s license, while transporting a child, or causing bodily harm to another party. Drug Crimes: When facing a drug charge in the state of Illinois, the severity of the charges depend on the type of substance and the quantity. Displayed within 720 ILCS 570/402, possession of drugs such as heroin or cocaine constitute a felony charge, for any amount. If you are found with less than 1 gram, you will likely face a Class 4 felony charge. As the quantity increases, the legal severity does as well. If you are apprehended with an excess of 15 grams of either heroin or cocaine, you could face as many as 15 years in prison. For more information on the implications of a felony drug charge, speak with a legal professional. Other Felony Crimes: A felony charge can dramatically impact the rest of your life. From difficulty securing employment or residential opportunities to substantial fines and possible jail time, an arrest of such magnitude should not be taken lightly. Other common felonies committed throughout the state of Illinois include burglary, motor vehicle theft, and forgery. In the event of an arrest, seek out legal assistance immediately. With years of legal experience within the state of Illinois, Attorney Brian J. Mirandola relentlessly represents his clients in order to secure the best possible legal outcome. Through consultation regarding the arrest and the development of a precise strategy, a skilled attorney can help you secure a reduction of charges or complete dismissal. To schedule your free consultation with an experienced Kane County criminal defense attorney, contact us today at 847-488-0889. Here in the state of Illinois, possession of illegal drugs can come with serious legal ramifications. While medical marijuana is legal, recreational use and possession of marijuana are not. While possession of cannabis charges are serious, getting caught with even a small amount of cocaine, methamphetamine, or heroin can be life-changing if you are convicted. If you are charged with a drug crime, it is important to understand the potential consequences and seek experienced legal assistance as soon as possible. According to Illinois state law, the possible legal penalties of drug crimes depend on the type of substance and the amount seized by law enforcement. 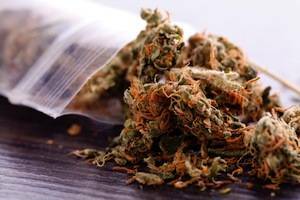 If you are apprehended with less than 10 grams of marijuana, you may be charged with a civil offense, with a fine of up to $200. Possession of 10 to 30 grams is a misdemeanor for a first offense with up to a year in jail and fines of $2,500. Anything more than 30 grams becomes a felony, with mandatory minimum sentencing for a conviction and fines up to $25,000. With hard drugs like cocaine, meth, and heroin, a possession conviction automatically constitutes a felony on your record, starting with one to three years in jail and up to $25,000 in fines. At The Law Office Brian J. Mirandola, we aggressively fight for the rights of our clients. Our trusted criminal defense team will do everything it can to keep a conviction off your record and secure the best possible outcome in your case. We can help prove your innocence if you did not know about the narcotics police say you possessed, or effectively negotiate a plea agreement with possible probation. Depending on the facts of your case, we may be able to secure enrollment in a diversion program to further lessen the potential damage. Do not let a drug allegation severely impact your life. The Law Office Brian J. Mirandola is here to fight for you. To schedule a free initial consultation with an adept Kane County criminal defense attorney, contact our team today at 847-488-0889.